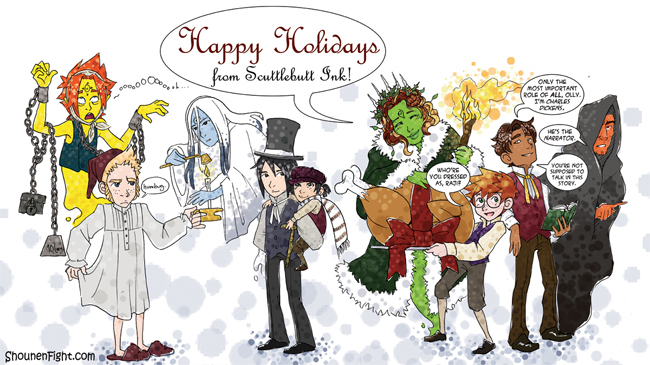 Happy Holidays, readers! It’s our first Christmas doing the comic and we couldn’t help ourselves from playing some dress up, especially since we didn’t have the time to tackle something for Halloween. Thank you all for making our first year working on this comic such a great experience. Whether you’re waiting for a fat man to shimmy down your chimney or are just sick of hearing merry Christmas because it isn’t your tradition, we hope your winter season is full of love and warmth and your New Year is a bright one. Thank you so much! Hope your holiday was as nice as ours!